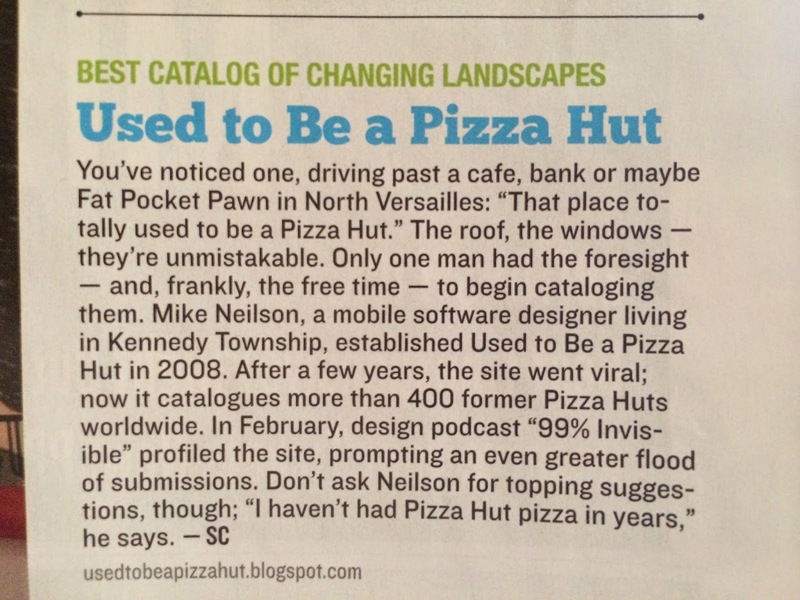 In an oddly specific category, this very blog has been named the unanimous winner of the prestigious "Best Catalog of Changing Landscapes" award, as decided by President Obama, the joint chiefs of staff, and the editorial board of Pittsburgh Magazine. 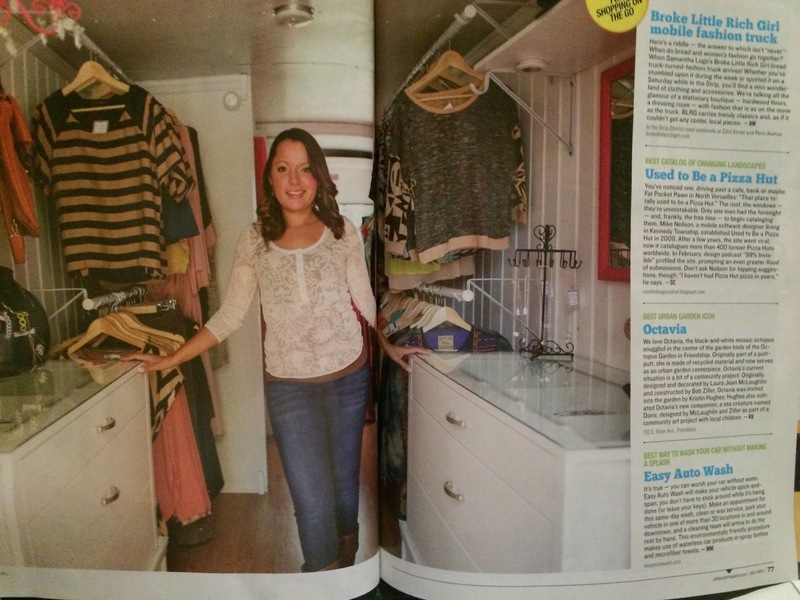 I know what you are thinking, which is that next year I should start a mobile fashion truck in an effort to get a giant photo into the magazine. Broke Little Rich Girl, I am coming after you! But, full page photo or not, I am very pleased to have won this award and I am very thankful to live in a time when a blog can literally change the world into a dramatically better place which is a lot like the world that existed before the blog except with a handful of friends and family having something to talk about whenever I see them at social gatherings. To see a list of all of the "Best of the Burgh 2014" winners, click here or pick up a print version for yourself (two, if you want to frame one).